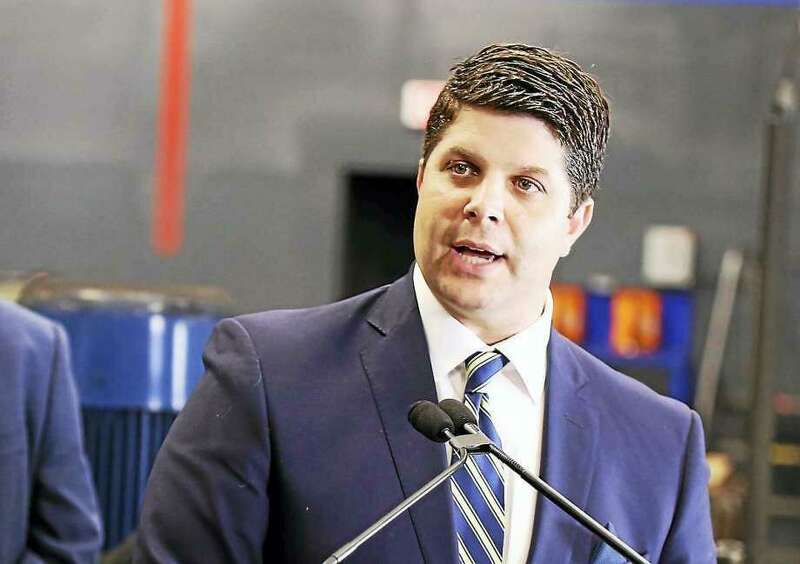 Once the Democratic pace-setter in a crowded field but now broke, Middletown Mayor Dan Drew dropped out of the governor’s race last week. Drew, a New Milford High School graduate, and his running mate, freshman state Rep. Liz Linehan, of Cheshire, announced the decision in an afternoon email to their supporters, ending a year-long conquest for the progressive minds in the party. The pair’s exit culminates a rocky week for the ticket, with Drew ousted from the Democratic Town Committee in his home city last Tuesday and then reporting that his campaign was $8,000 in debt on its election filing the following day. The prospect of increasing competition from former Secretary of the State Susan Bysiewicz, also from Middletown, and fellow progressive Ned Lamont spelled doom for Drew. The mayors of Bridgeport (Joe Ganim) and Hartford (Luke Bronin) are expected to contend for the nomination, as well as former consumer protection Commissioner Jonathan Harris and former state party vice chairwoman Dita Bhargava of Greenwich. Despite raising $269,186 since last January, Drew’s political operation has been burning through money and spent $88,000 on consulting fees of one firm alone, the Vinci Group, where Drew’s ousted mayoral chief of staff Geoff Luxenberg had once been a partner. Drew flummoxed the political world last summer when he made the decision not to carry over $178,075 from his exploratory committee to his campaign. That would have put him well on the path to raising $250,000 in $100 increments to qualify for public campaign financing. Instead, he was forced to start from scratch. The three-term mayor has declined to say why he hit the reset button, but multiple campaign veterans said it was likely because Drew needed a second round of fundraising to keep his candidacy viable. Bysiewicz, who served three terms as the state’s top election official ending in 2010, said in an interview Thursday she will make a decision soon on a run for governor or state Senate. Her previous bids for higher office have been derailed, with the state Supreme Court ruling her ineligible for state attorney general in 2010 because she hadn’t practiced law for 10 years and Bysiewicz falling to Chris Murphy in the 2012 U.S. Senate primary. Lamont is laying the foundation for a likely reprise of his 2010 bid for governor, when he was upset in the Democratic primary by Dannel P. Malloy. The cable television entrepreneur rose to national prominence in 2006 when he upset Joe Lieberman in the Democratic Senate primary. Lamont lost to Lieberman in the general election, with the incumbent resorting to an independent petition candidacy.